Maria Minerva beautifully honours the memory of her collaborator Chelsea Faith Dolan, a.k.a. Cherushii, who was among the 36 people who died in the Ghost Ship fire in Oakland, 2016. 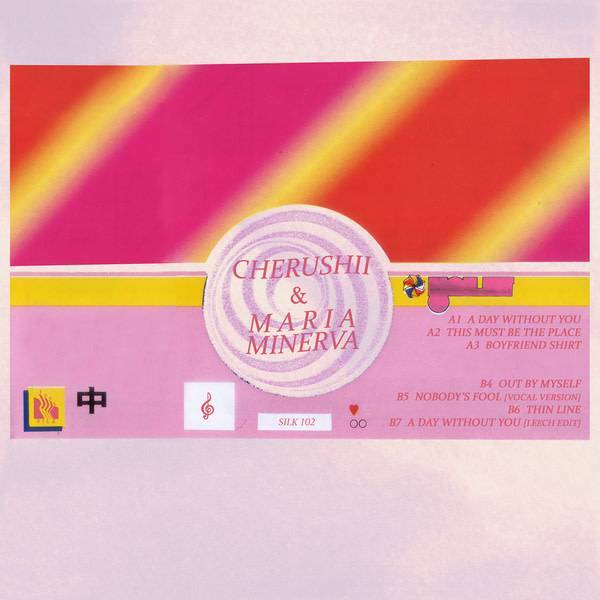 Posthumously issued, the six songs of Cherushii & Maria Minerva were written by Maria and her departed collaborator after they bonded during Maria’s first US tour, when they covered over 3000 miles playing 8 shows, including performances at venues such as the Veterans of Foreign Wars hall in Missoula, Montana, not usually known for fancy European music. Sadly, the fruits of their friendship weren’t completed before the tragic Ghost Ship fire, so Maria has enlisted the aid of David Last, Adam Gunther and Brian Foote (Leech) to faithfully finish them off and pay tribute to Cherushii. Their six songs are about celebrating the good times, with Maria’s dreamy vox floating over 100% silky trax in gorgeous style on the plush slink of A Day Without You, the decadent swing of Boyfriend Shirt, and the dusky deep house hustle of Out By Myself, while Leech chiefs in with feathered gamelan-like riffs on a more hushed, sweetly elegiac edit of A Day Without You.